Laminating small documents can be tricky and time-consuming on a roll laminator- not to mention the film that is wasted in the process. 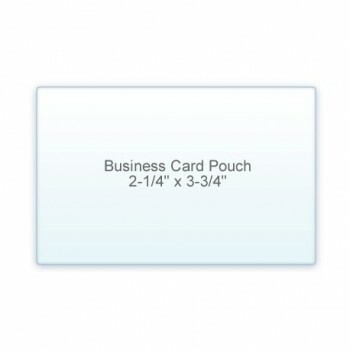 Fortunately, Filmsource offers a variety of laminating pouches in small sizes including bookmark, credit card, luggage tag, photo, and more- ideal for many different applications. Now there is an easy way to visually enhance and extend the life of small documents- no cutting, trimming, or headaches! Don’t see the size you want? Check out our large pouches and special pouches sections for even more options.